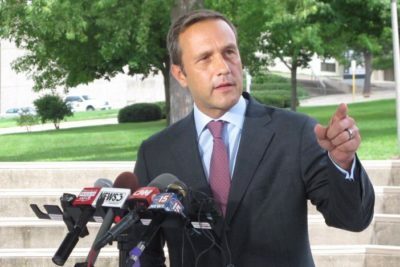 Delavan, WI — Republican U.S. House candidate Paul Nehlen is the first candidate or elected official willing to stand up and propose a legislative solution to the problem of dual-citizens in elected or appointed offices. “We need a federal law prohibiting dual-citizens from holding elected or appointed offices, or temporary or permanent hired positions in America’s federal, state, or local bureaucracy or in America’s military,” Nehlen asserts. “Dual-citizens present an ethical dilemma, and set up a moral hazard that the public ought not bear,” Nehlen continued. Nehlen expressed concern about how legislators recently proposed Anti-Boycott Act that the ACLU claimed would encroach on Americans’ freedom of speech. The legislation would ban dual-citizens from any nation from holding any office in federal, state, or local bureaucracies, elected or otherwise, or in America’s military. For elected office holders, special elections must be held for all current office holders within 3 months of this legislation being signed into law. For unelected positions, the incumbents would have 3 months to resign their position. Dual-citizens who fail to vacate these positions, or going-forward, campaign for, accept appointment to, or are hired for any period of time into federal, state, or local bureaucratic positions, or within the military would be guilty of treason per 18 U.S. Code § 2381. “We must secure the bureaucracy to restore public trust and make America safe again,” Nehlen concluded.